This I'm hosting one of the best giveaways ever. Why? I'd love to win in it myself. It's a brow work kit. As for me makeup routine which I'm not often talking (ok, never) is mostly concentrated on my brows. It's my weakest point ever. I doubt I ever publish my brows without little touch. And when I got the opportunity to share one great brows product from Billion Dollar I was very happy. I think it could be great opportunity to win it for gals having same issues as I do or other ladies wishing to look even better. After all, there are few things making your face look more bright and natural when fine made brows. No matter is you are blond or brunette this Billion Dollar kit would make your brows happy. 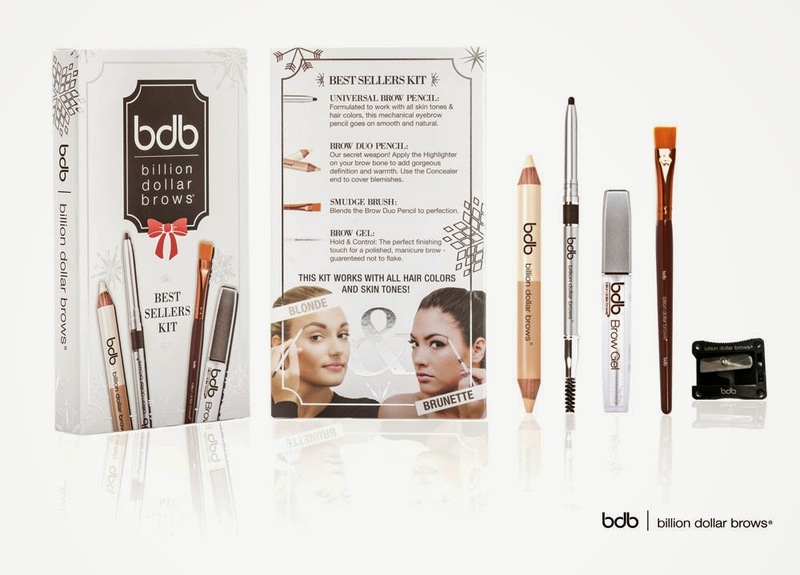 Billion Dollar Brows Holiday Campaign - may be it'll be you who got this great present for upcoming holidays?